Measure from the top of the centre back (nape of the neck) to the end of your shoulder at the top of your arm. 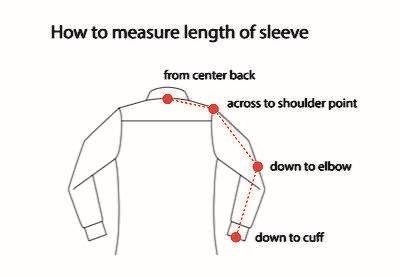 Measure from your shoulder to just before the wrist bone or where you would like your cuff to sit. Always bend the elbow when measuring. Stand with your back straight in front of a full-length mirror. Having good posture is the key to taking accurate measurements. Wrap a soft tape measure around your bust. Take it around your back, across your shoulder blades and under your arms. It should wrap around the fullest part of your bust. The tape should be straight and parallel with the floor. Bring the ends together in the center front. Place your thumb beneath the tape measure and keep yourself from pulling too tight, as this could give you an incorrect measurement. Record the measurement. Use a pencil and paper to record the measurement. Strip down to your underwear and stand in front of a full-length mirror. 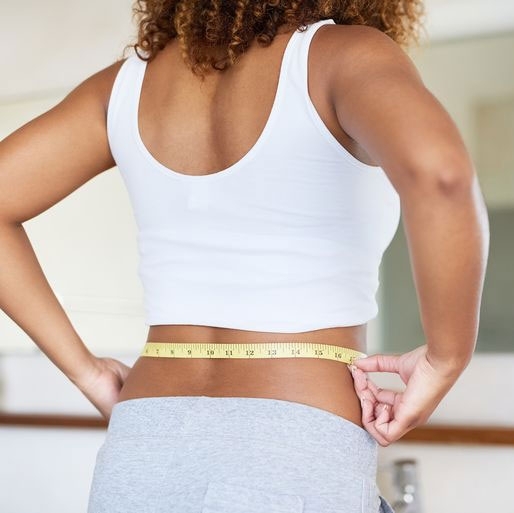 To get the correct waist measurement, make sure your underwear isn't cinching your waist. You may need to remove it. While standing straight, bend over to the front or side and make a note of where your body creases. This is your natural waist. It's the narrowest part of your torso, generally located between your rib cage and belly button. Wrap the tape measure around the fullest part of your hips and buttocks. 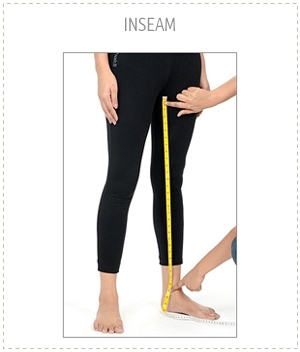 This is usually located 7 to 9 inches (17.8 to 22.9 cm) below your natural waist. Keep the tape measure parallel to the floor. Bring the tape measure together in the center front. Be sure to prevent yourself from drawing it too tightly. This is used for dress slacks and other pants, and is especially helpful in determining the best length to search for. Remember to take your shoes' heel height into account. Enlist the help of a friend if you can, or if no one's around to help, select your best fitting pair of jeans to measure your inseam. Measure the inside leg. Ask your friend to use a tape measure to measure the length of your leg from your ankle up to the bottom of your crotch. You should be standing with your leg straight while this is done. If you're using a pair of jeans, extend the tape measure from the bottom hem straight up to the lowest point of the crotch area. Record the measurement. Round the number up to the nearest half-inch and mark it down on paper.